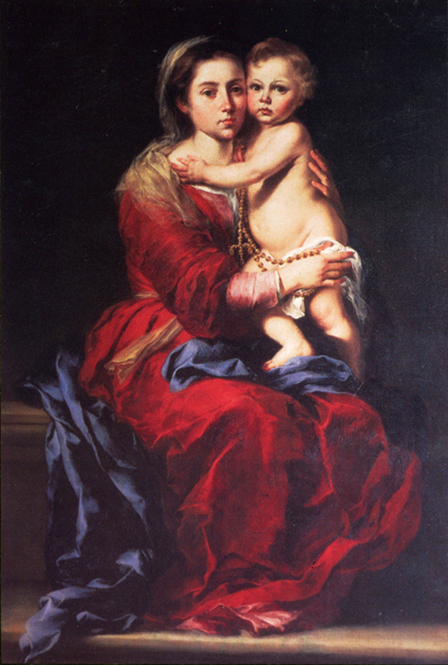 The Rosary is a Marian prayer that depicts the biblical life and message of Jesus Christ. Saint John Paul II calls the Rosary a "compendium of the Gospel message" in his Apostolic Letter Rosarium Virginis Mariae, published October 16, 2002. The 5 Mysteries of Light or the Luminous Mysteries were added to the traditional Joyful, Sorrowful, and Glorious Mysteries with the publication of this Apostolic Letter. 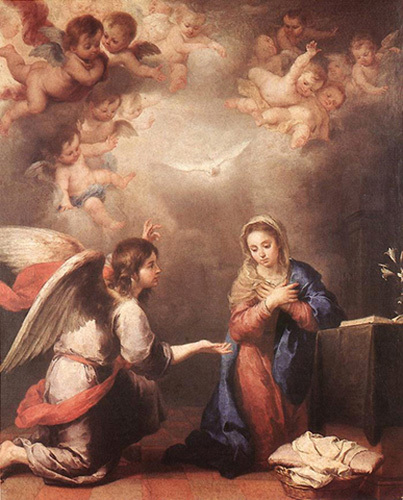 He also states that "Mary constantly sets before the faithful the mysteries of her Son, with the desire that the contemplation of those mysteries will release all their saving power. In the recitation of the Rosary, the Christian community enters into contact with the memories and the contemplative gaze of Mary." The Rosary is thought to originate from the prayer beads of the Desert Fathers and European monks who would pray the 150 Psalms. But it was St. Dominic in 1214 who began to spread devotion to the Rosary. Domingo de Guzman was a Spanish preacher who went to southern France to preserve the faith against the Albigensian heresy. In 1214 while he was praying for three days in a chapel in Prouille, Mary appeared to Dominic and taught him how to pray the Rosary. St. Dominic founded the Dominican Friars, and established monasteries all over the world. The heresy ended during his lifetime. The most famous Dominican was St. Thomas Aquinas (1224-1274), one of the greatest theologians of the Catholic Church, the author of Summa Theologica. The Blessed Mother also gave 15 reassuring promises to St. Dominic for those who faithfully recite the rosary: (1)	Whoever shall faithfully serve me by the recitation of the Rosary shall receive signal graces. (2) I promise my special protection and the greatest graces to all those who shall recite the Rosary. (3) The Rosary shall be a powerful armor against hell. It will destroy vice, decrease sin, and defeat heresies. (4) It will cause virtue and good works to flourish; it will obtain for souls the abundant mercy of God; it will withdraw the hearts of people from the love of the world and its vanities, and will lift them to the desire of eternal things. Oh, that souls would sanctify themselves by this means. (5)	The soul which recommends itself to me by the recitation of the Rosary shall not perish. (6) Whoever shall recite the Rosary devoutly, applying himself to the consideration of its sacred mysteries, shall never be conquered by misfortune. God will not chastise him in His justice, he shall not perish by an unprovided death; if he be just, he shall remain in the grace of God, and become worthy of eternal life. (7) Whoever shall have a true devotion for the Rosary shall not die without the Sacraments of the Church. (8) Those who are faithful to recite the Rosary shall have during their life and at their death the light of God and the plentitude of His graces; at the moment of death they shall participate in the merits of the Saints in Paradise. (9) I shall deliver from purgatory those who have been devoted to the Rosary. (10) The faithful children of the Rosary shall merit a high degree of glory in Heaven. (11) You shall obtain all you ask of me by the recitation of the Rosary. (12) All those who propagate the Holy Rosary shall be aided by me in their necessities. (13)	I have obtained from my Divine Son that all the advocates of the Rosary shall have for intercessors the entire celestial court during their life and at the hour of death. (14) All who recite the Rosary are my children, and brothers and sisters of my only Son, Jesus Christ. (15) Devotion of my Rosary is a great sign of predestination. In addition, the Blessed Virgin Mary, during an appearance on December 10, 1925 to Sister Lucy, one of the three Fatima children, promised the graces necessary for salvation at the hour of death to all those who, for five first Saturdays in a row, went to Confession, Mass, Communion, recited the Rosary, and kept her company for 15 minutes while meditating on the Mysteries of the Rosary, with the intention of making reparation to the Blessed Mother. This page describes how to pray a rosary. The picture above shows the image of a rosary. First are the introductory prayers located above the Medal: with the Cross you make the Sign of the Cross and say the Apostles' Creed. Then one prays the Our Father (rose bead) and three Hail Marys (blue beads), followed by the Glory and Fatima prayers. Then one announces the First Mystery, and prays the Our Father. Below the Medal are 50 blue beads in groups of ten, each bead representing the Hail Mary, separated by rose beads representing the Our Father. One Our Father and ten Hail Marys comprise one decade of the Rosary. There are five decades for one group of five Mysteries of the Rosary. You begin each decade reciting one of the Mysteries of the Rosary, then the Our Father, then ten Hail Marys, then the Glory and Fatima Prayers. One decade is prayed for each of the Five Joyful, Luminous (Mysteries of Light), Sorrowful, or Glorious Mysteries of the Rosary. At the end of the Rosary, there are concluding prayers that may be said, such as the Hail Holy Queen, the Prayer to St. Michael the Archangel, and the Memorare of Our Lady with a petition. One often includes a Prayer to St. Joseph. One ends with the Sign of the Cross. The Prayers of the Rosary are listed first, followed by a description of the Mysteries of the Rosary. He descended into hell. On the third day he rose again. the resurrection of the body, and life everlasting, Amen. And lead us not into temptation, but deliver us from evil, Amen. blessed are thou among women, and blessed is the fruit of thy womb Jesus. Holy Mary, Mother of God, pray for us sinners, now and at the hour of our death, Amen. as it was in the beginning, is now, and ever shall be, world without end, Amen. lead all souls to heaven, especially those most in need of your mercy. Hail, Holy Queen, Mother of Mercy, hail, our life, our sweetness, and our hope. To Thee do we cry, poor banished children of Eve. To Thee do we send up our sighs, mourning and weeping in this valley of tears. 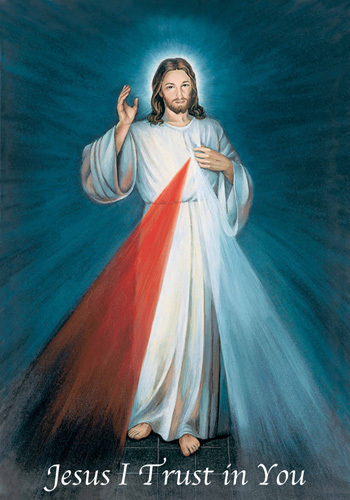 Turn then, most gracious advocate, Thine eyes of mercy towards us. And after this our exile, show unto us the blessed Fruit of Thy womb, Jesus. O clement, O loving, O sweet Virgin Mary. cast into hell satan and all the other evil spirits, who prowl about the world seeking the ruin of souls. Amen. Remember, O most gracious Virgin Mary, that never was it known that anyone who fled to your protection, implored your help, or sought your intercession was left unaided. Inspired by this confidence, (I or we) fly to you, O Virgin of virgins, our Mother. To you do we come; before you we stand, sinful and sorrowful. O Mother of the Word Incarnate, despise not our petitions, but in Your mercy, hear and answer us. (You may make your petition here). Amen. 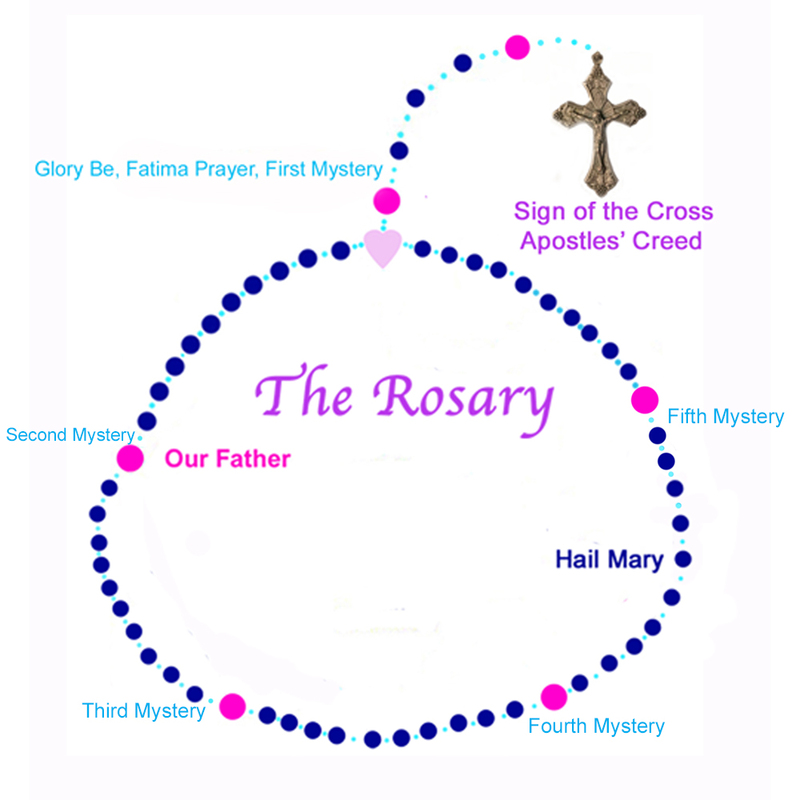 The Mysteries of the Rosary trace key events in the Biblical life of Jesus Christ. The Traditional Mysteries are divided into 3 groups of five each, the Joyful, Sorrowful, and Glorious Mysteries. The Joyful Mysteries were said Mondays and Thursdays, the Sorrowful Mysteries on Tuesdays and Fridays (and daily during Lent), and the Glorious Mysteries were said Wednesdays, Saturdays, and Sundays. The new Mysteries of Light, or the Luminous Mysteries, form the fourth group of the Mysteries of the Rosary. Looking at the life of Jesus, the Mysteries of Light fall between the Joyful and Sorrowful mysteries. Pope John Paul II suggested in his Letter to move the second meditation of the Joyful mysteries to Saturday and to pray the Mysteries of Light on Thursday, but he respected the "rightful freedom in personal and community prayer." Sometimes we pray the traditional Mysteries from Monday through Saturday and pray the new Mysteries of Light on Sunday. Others pray 15 Mysteries of the Rosary at one sitting, going around the Rosary beads three times, choosing 3 of the 4 Mystery groups. 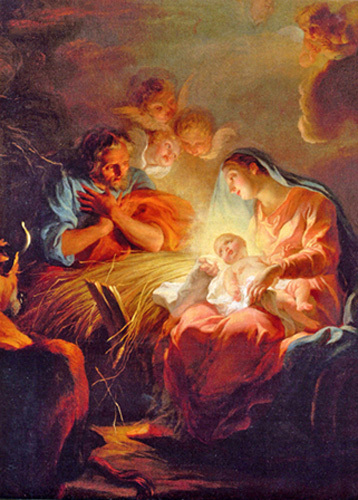 The Joyful Mysteries proclaim the joy radiating from the Incarnation of Our Lord Jesus Christ. that she will bear a son conceived by the Holy Spirit (Luke 1:26-38). "Hail, full of grace, the Lord is with you!" 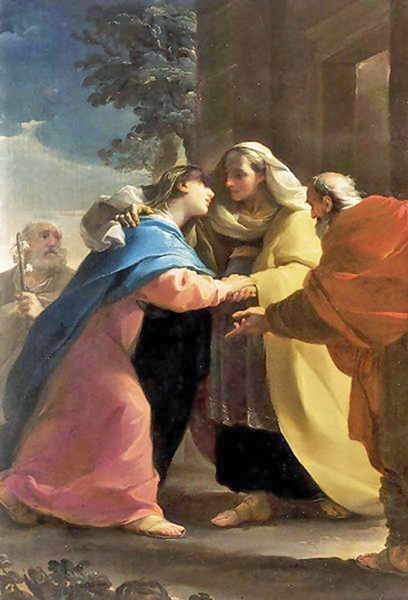 The Second Joyful Mystery is the Visitation of Mary to her cousin Elizabeth (Luke 1:39-45). "Blessed are you among women, and blessed is the fruit of your womb! And why is this granted me, that the mother of my Lord should come to me?" The Third Joyful Mystery is the Nativity, the Birth of Our Lord (Luke 2:1-7). and laid him in a manger, because there was no room for them in the inn." 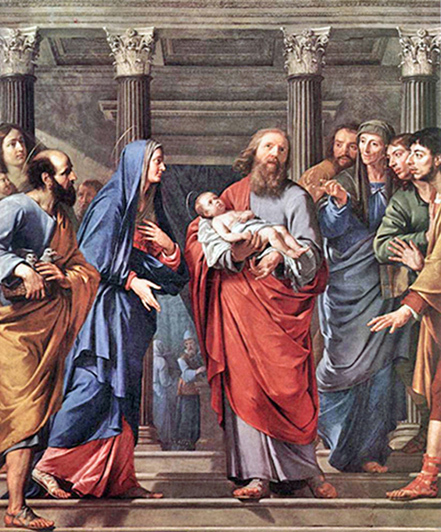 The Fourth Joyful Mystery is the Presentation of the Child Jesus in the Temple (Luke 2:22-38). (and a sword will pierce through your own soul also), that thoughts out of many hearts may be revealed.'" The Fifth Joyful Mystery recounts the Finding of the Child Jesus in the Temple (Luke 2:40-52). "Why were you looking for me? Did you not know that I must be in my Father's house?" The Mysteries of Light recall events in the life of Christ which brought Light into our world. 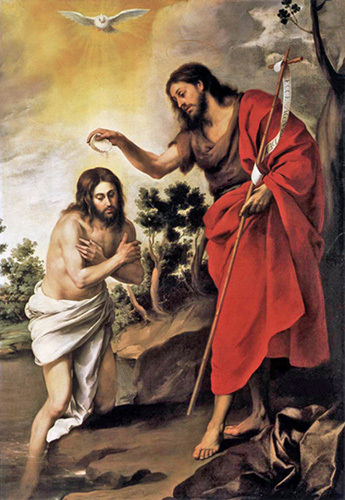 The First Mystery of Light is the Baptism of Jesus in the River Jordan (Mark 1:9-11). "In those days Jesus came from Nazareth in Galilee and was baptized by John in the Jordan." 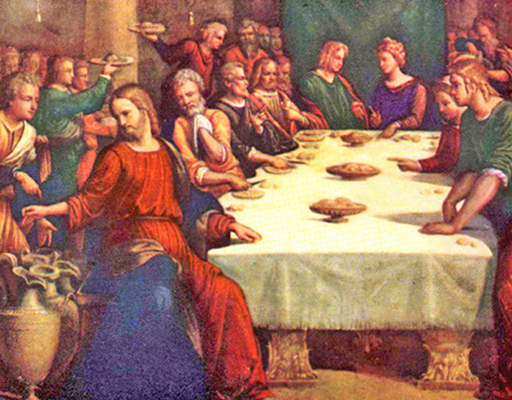 The Second Mystery of Light is Jesus at the Wedding Feast of Cana (John 2:1-12). "His mother said to the servants, "Do whatever he tells you." 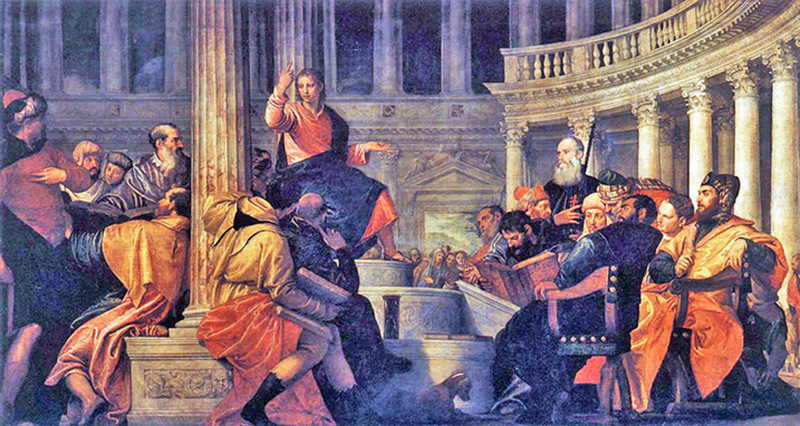 The Third Mystery of Light is Jesus' Proclamation of the Kingdom of God with a call to conversion (Mark 1:15). "The Kingdom of God is at hand; repent, and believe in the Gospel." 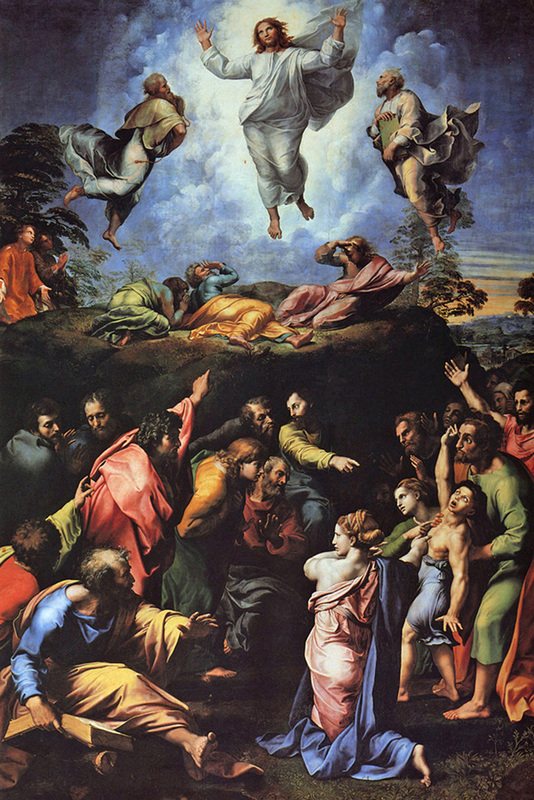 The Fourth Mystery of Light is the Transfiguration of Jesus (Matthew 17:1-8). "This is my beloved Son, with whom I am well pleased; listen to him." 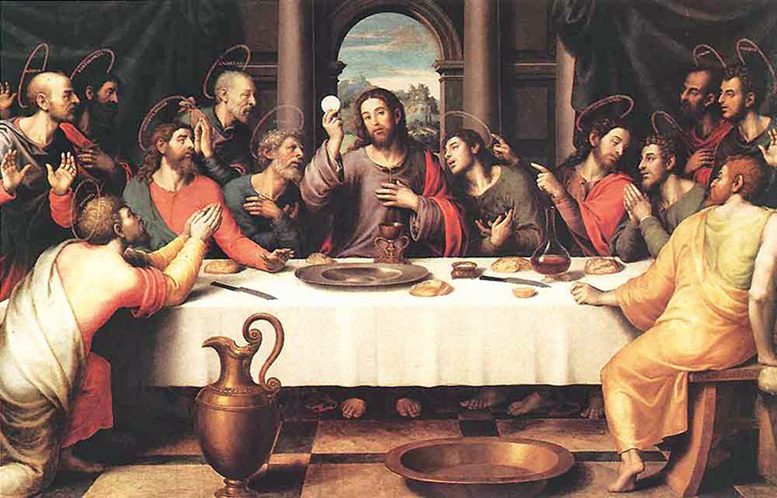 The Fifth Mystery of Light is the Institution of the Eucharist at the Last Supper (Luke 22:19-20). And likewise the cup after supper, saying, 'This cup which is poured out for you is the new covenant in my blood.'" 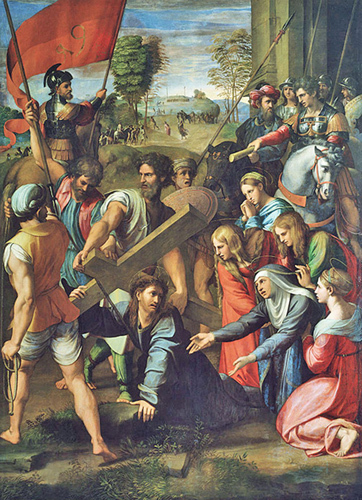 The Sorrowful Mysteries recall the Passion and Crucifixion of Jesus. 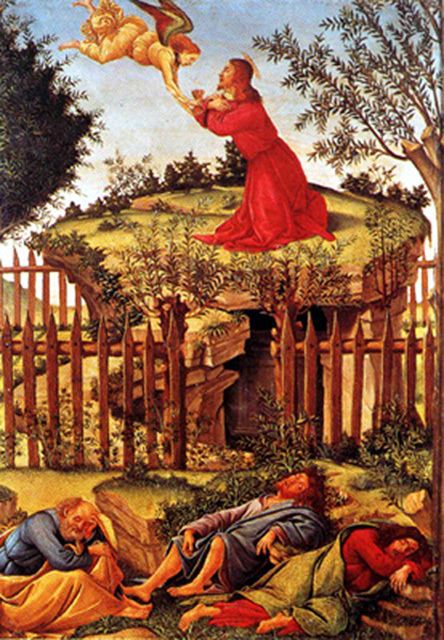 The First Sorrowful Mystery is the Agony in the Garden (Mark 14:32-42). He returned and found his trusted friends asleep. He said to Peter, 'Could you not keep watch for one hour?'" 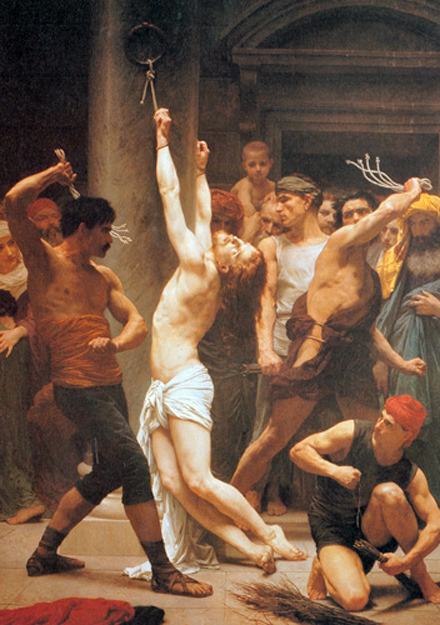 The Second Sorrowful Mystery is the Scourging at the Pillar at the order of Pontius Pilate (John 19:1-6). "Then Pilate took Jesus and had him scourged." The Third Sorrowful Mystery is the Crowning of Thorns (Matthew 27:29-32). "Weaving a crown of thorns, the [soldiers] placed it on his head, and a reed in his right hand." 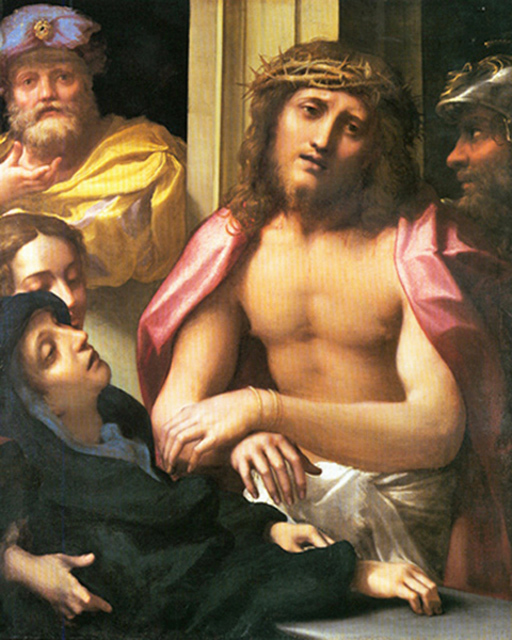 The Fourth Sorrowful Mystery recalls Jesus' Carrying of the Cross (John 19:16-17). to the place called the place of a skull, which is called in Hebrew Golgotha." 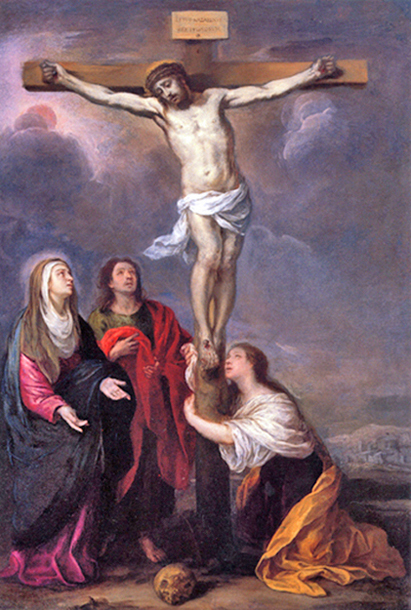 The Fifth Sorrowful Mystery is the Crucifixion and Death of Jesus (Matthew 27:33-54). "But Jesus cried out again in a loud voice and gave up his spirit." The Glorious Mysteries recount the Resurrection and Ascension of Jesus Christ, the Pentecost, and events in the life of Mary. 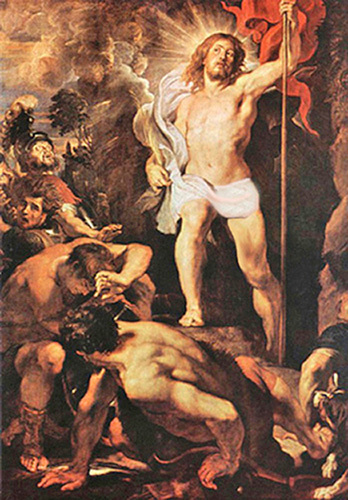 The First Glorious Mystery is the Resurrection of Our Lord Jesus Christ (John 20:1-29). 'I am ascending to my Father and your Father, to my God and your God.'" 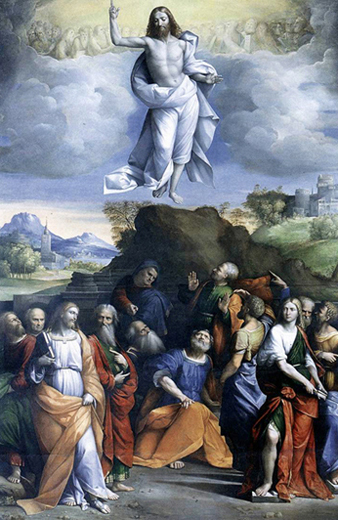 The Second Glorious Mystery is the Ascension of Christ into Heaven (Acts 1:9-11). He was lifted up while they were looking on, and a cloud received Him out of their sight." 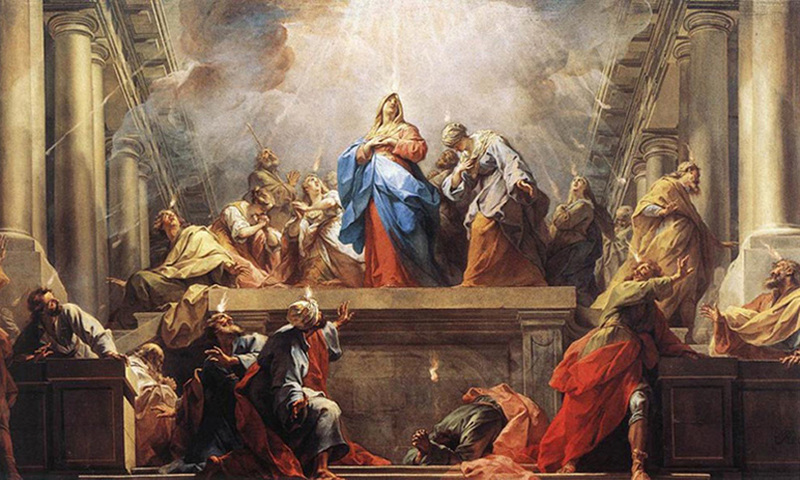 The Third Glorious Mystery is the Pentecost, the Descent of the Holy Spirit upon the Apostles (Acts 2:1-4). "Then there appeared to them tongues as of fire which parted and came to rest on each one of them. And they were all filled with the holy Spirit and began to speak in different tongues, as the Spirit enabled them to proclaim." 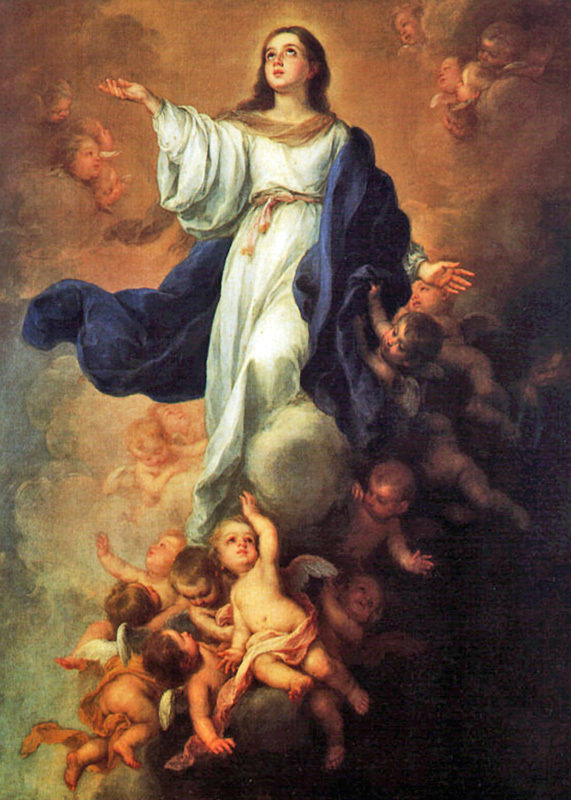 The Fourth Glorious Mystery is the Assumption of Mary into Heaven (Revelation 12:1-6). with the moon under her feet, and on her head a crown of twelve stars." 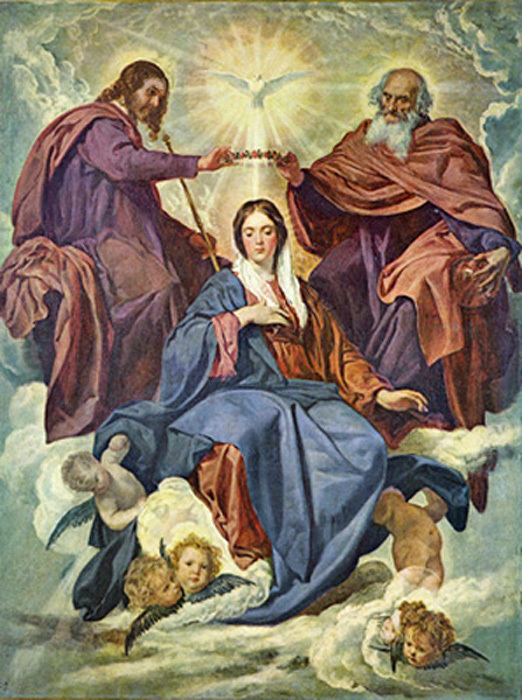 The Fifth Glorious Mystery is the Coronation of Mary as Queen of Heaven (Revelation 12:1).